How do you know you’re a true HubSpot User? As with anything in life, no one starts off a seasoned pro - we all work hard to become great at the things we enjoy and somewhere along the line we become experts - and the same can be said about HubSpot. Our team of HubSpot specialists have been using the HubSpot Marketing platform for years now - but at one point, they were all newbies and somewhere along the line, they became true HubSpot users. If - like us - you check your social inbox multiple times an hour, regularly access your website analytics to see your site's performance, or check your contact conversion rate on a daily basis, then you're definitely a HubSpot fanatic! ...You find it weird when people not using HubSpot talk about how difficult it is to make a change to a website page. ...You don’t feel right publishing content until all the lights in the search engine optimisation tool are green. ...You find yourself thinking, “I know a graph I can build to show that” for any occasion. ...Orange is now your favourite colour. ...You get really excited about a new tab or button with **BETA** in big letters. ...You can’t find the button you’re looking for because it's been moved! ...You love it when the system finds your contacts' Twitter or LinkedIn profile photos automatically. ...You can tell to the minute when a prospect has been on your site. ...You know the answer to any problem in life is somewhere on the HubSpot blog. 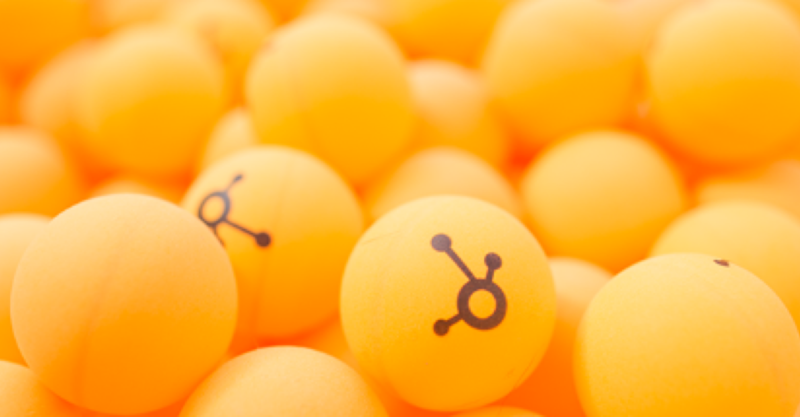 ...You find yourself dancing along to the HubSpot sprocket whilst your page is loading. ...You refer to conversions as contacts. ...You cannot imagine that a company has still not figured out how to track ROI. ...When you send out a compelling email and forget to turn the notifications off.